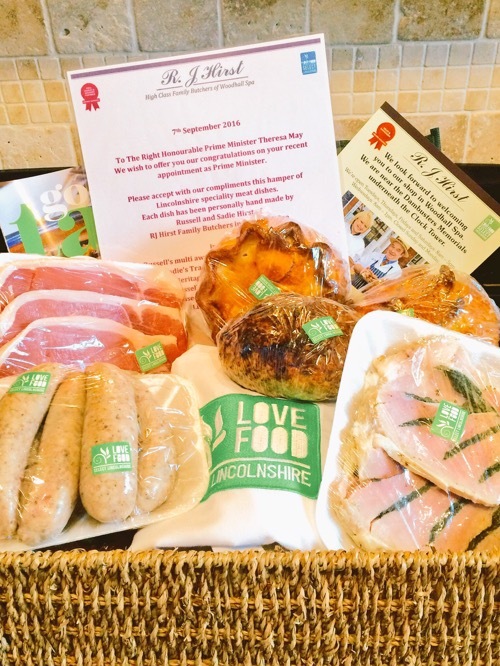 This is the biannual competition that was held on 13th October 2016 at The Lincolnshire Showground for Butchers and Bakers across the county. There were over 400 entries in the different classes and as ever competition was fierce. R J Hirst were over the moon to find out that we have won a staggering 12 awards in this latest competition – 2 Gold, 8 Silver and 2 Bronze. 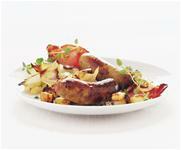 Russell’s hand cured bacon, which graced the table of No 10 Downing Street last month won Gold. Russell can add a Silver accolade to the long list for his Lincolnshire Sausages, which the Prime Minister is particularly fond of. 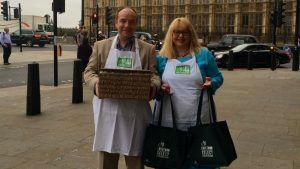 Sadie and Russell have had an exciting year, last month they were invited to the Houses of Parliament by local MP Victoria Atkins to take a hamper of their produce to The Prime Minister. They were also treated to a tour of the House of Commons, House of Lords and tickets to Prime Ministers Question Time. Earlier this month they were awarded 2016 -2017 Highly Commended Best Retailer and Highly Commended Best Producer at the prestigious Select Lincolnshire Awards, putting them in the top four in Lincolnshire for the fourth consecutive year.